You are here: Home › Uncategorized › Rashid Threatened with Transfer — Hearing on Sept 10th — SPEAK UP AGAINST THIS ABUSE! ← Urgent Alert! Rashid Transferred to Sussex! Rashid was previously transferred out of Virginia to Oregon, Texas, and Florida, where he endured beatings, medical neglect, threats, and attempts to frame him for various offenses. 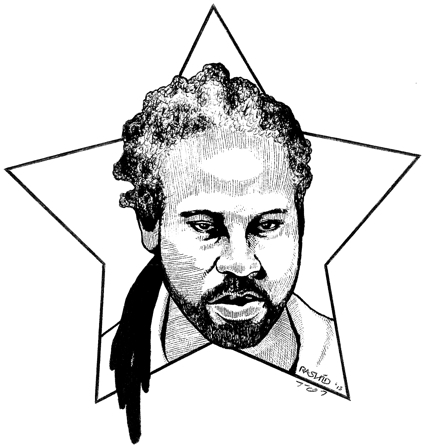 Rashid is a Virginia prisoner, and he should remain in Virginia, where he has always had the most support. Monday morning, starting at 9am, please phone and email the official in charge of interstate compact: Chief of Corrections Operations David Robinson. We can call the main office number at 804-674-3000 and ask to be transferred to his phone line. Robinson’s email address is david.robinson@vadoc.virginia.gov. When leaving a message or talking to Mr Robinson, refer to Rashid by his legal name Kevin Johnson, and give his Virginia prison id # 1007485. Explain that he is better off in Virginia, that he has been subjected to serious human rights abuses during previous transfers. Over ten thousand people have already signed a petition demanding that he be released from solitary and that he not be transferred.